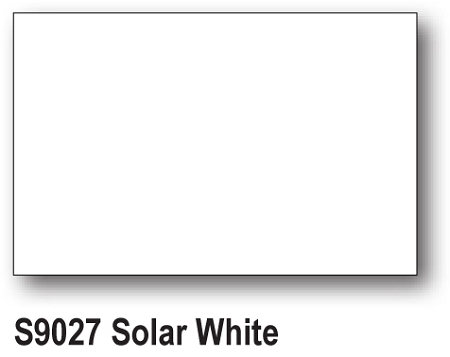 Wilflex S9027LB Solar White is a general-purpose, low-bleed, super-opaque white intended mainly for 100% cottons, cotton blends and some synthetics. 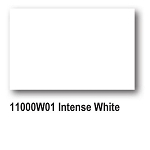 It is a very nice clean, bright white. It prints easily on manuals and automatics with a nice creamy consistency. It is characterized by fast flash time with a low after-tack. We do not recommend you use with medication. 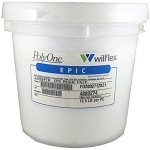 As soon as you modify these white you run the risk of affecting the bleed resistance, reducing opacity, and slowing the cure. * Fast Flash and low tack. * Maximum coverage on dark fabrics. 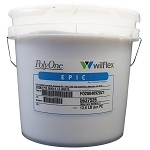 * Easy printability on manual or automatic equipment. * Creamy consistence, clean release from the screen.